I’ve been asked how you can buy my Realms products. You can email me at terrykaye(at)fastmail.fm and if you’d like to preview any of the scents beforehand, just send me your mailing address and I’ll pop a swatch in the mail. * All 8oz. 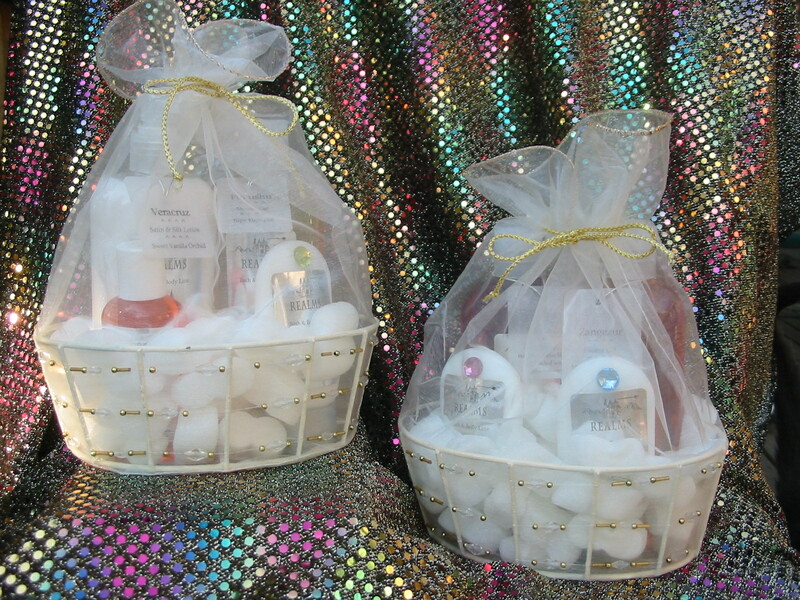 lotions, shower gels and foaming hand soaps are $10 each. * The 4oz. room sprays are also $10 each, but are probably the best buy in the line. You only need one spritz and it lasts for hours. * All the mini shower gels and lotions are $3.50 each. 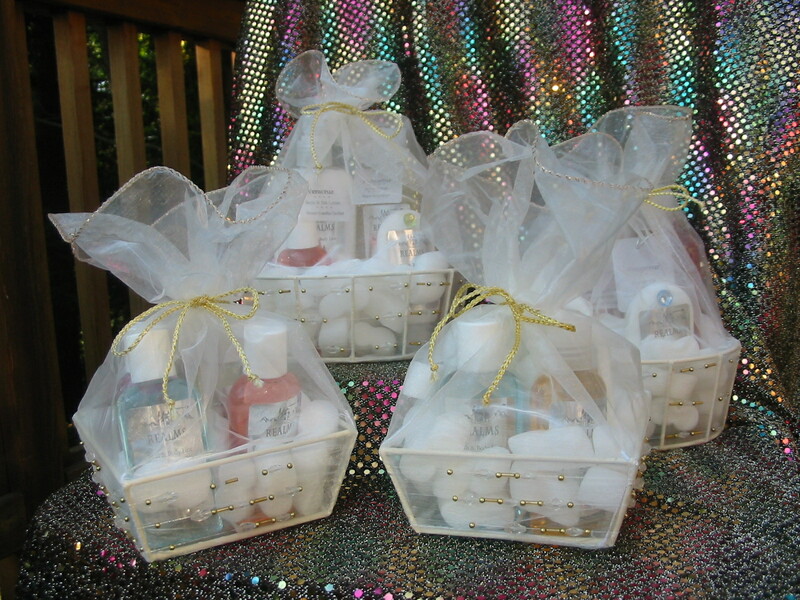 If you order 4 items to make up a gift basket, I’ll give you the organza covered basket free of charge. And of course, all shipping is extra. Please place Christmas orders by December 1st.